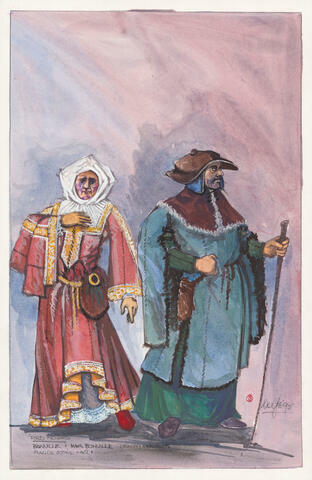 Item is a watercolour sketch of a costume design for Dalhousie Theatre's 1995 production of Red Noses. The costume is for two characters named Bonville and Madame Bonville. The sketch shows one male figure and one female figure wearing the costumes.